Leading Manufacturer of hydraulic and lube oil filter from Ahmedabad. We are a leading manufacturer and supplier of Hydraulic and Lube Oil Filter. The hydraulic and lube oil filter has a drum top filter unit which is ideal for high viscosity lubrication and hydraulic oils. 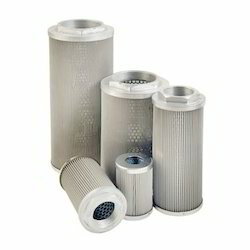 It can be used for filtering new fluids during transfer and replenishment as well as filtering fluids being serviced. The filtering unit includes sampling ports on the inlet and outlet connections and also helps in prolonging the life of equipment and fluids. Looking for Hydraulic and Lube Oil Filtration ?